The Blue Ridge Mountains are a wondrous place. Rivers, mountains, waterfalls, lakes and historical sites fill the landscape. The Appalachian mountains rise out of the Chattahoochee National Forest extending north as far as you can see. Breathtaking views of rushing white water, the changing colors of the forest canopy and mountains majesty rising around you make this area one of the most special places to visit. The Blue Ridge Georgia Cabin Rentals invite you to visit and enjoy this amazing landscape. From your cabin, you can visit one of the many mountain towns dotting this region. These towns embrace their mountain heritage and invite you to explore the simpler, quieter days of our nation's history. Art abounds among these small communities as artists seek the solitude and inspiration of the mountains. All around, opportunities to explore the great outdoors await. There are the white water rapids of the Ocoee River, the gentle aquamarine waters of Lake Blue Ridge or a quiet canoe trip down the Toccoa River. Go horseback riding around the hills, valleys and mountain trails. Or, take a hike through the Chattahoochee National Forest, including a leg of the historic Appalachian Trail. History buffs will find plenty to keep them occupied as well. The Cherokee nation first populated this region and their imprint remains. You can also relive the nation's first gold rush in the Georgia Mountains. There are also several important Civil war sites in Georgia. Experience a treasured piece of our nation's landscape and history and escape to the Blue Ridge GA cabins. Although the Blue Ridge Mountains extend as far north as Pennsylvania, the southeastern edge of the magnificent range is densely packed with things to do and see. 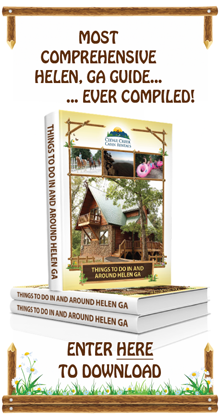 It is because of this that so many people make the decision to steal away for a vacation to the cabins in the mountainous area of northern Georgia. After all, what could be more enjoyable than immersing yourself in mother nature, while still embracing the home comforts of a luxurious cabin? When you visit the Blue Ridge Mountains in Georgia, you'll find that the sky is truly the limit in terms of the experiences that you may have. Here's a look at what makes the region surrounding this mountain range so special, and what you can expect from your upcoming trip. One of the best ways to experience all that the Blue Ridge Mountains have to offer is by taking a hike. This will give you the opportunity to really get up close and personal with all of the gorgeous plant life that is native to the area, and try to spot some of the indigenous wild life. In northern Georgia, the Cohutta Wilderness Area is a very popular spot for hiking through the Blue Ridge mountain range. Numerous trails of various levels of difficulty can be taken through the region, with elevations ranging from 950 feet in the Alaculsy Valley to as high as 4,200 feet on Big Frog Mountain. Some of the more popular trails within the Cohutta Wilderness include Jacks River Trail, the hike leading to Jack River Falls, and the path that takes hikers to Hemp Top. You may also choose to explore the area on horseback. Blanche Manor is located just 15 minutes north of Blue Ridge, GA, which is only a short trip away from the cabins in the Helen area. Riders of all experience levels will have the chance to explore even more of what the Blue Ridge Mountains have to offer on a 1.25 hour trail ride. During colder times of the year, you may choose to experience the mountain range in a different way. In order to keep warm, some visitors choose to take driving tours of the area. An especially popular option is the Cohutta Wilderness Driving Tour, which allows travelers to see landmarks like Mercier Orchard, Jacks River Fields, Three Forks Mountain, Mountaintown Creek Overlook, Betty Gap, and more. 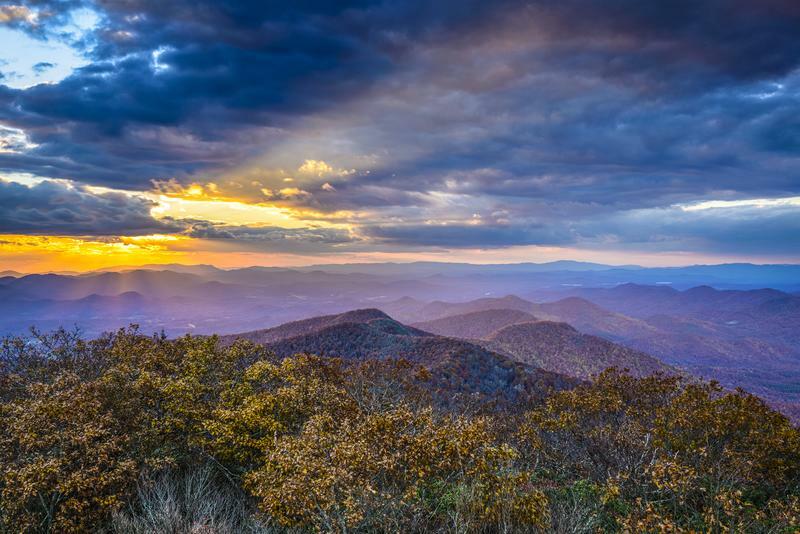 For those who are seeking adventure, the Blue Ridge Mountains will not disappoint. The area boasts some of the greatest mountain biking trails in northern Georgia, with trails that are suited for both beginners and experienced riders. The Asaka Trails, for example, range from easy to extremely difficult. You may want to warm up on the Long Branch Loop, which features 2.3 miles of Green Mountain Views and Creek Crossings. A more moderate ride can be had on the 5.9 mile Flat Creek Loop, where bikers will enjoy the many creek crossing, rocks, and incredible views. Those who really want a challenge, though, should set out to conquer the 5 mile, singletrack Stanley Gap Trail, with lots of downhill riding and elevations as high as 3,365 feet. There's no better way to make memories in the mountains of north Georgia than by embarking on a trip with the Blue Ridge Scenic Railway. As the authentic, vintage train cars take you past the Toccoa River, you'll be able to take in the breathtaking sights of the rising mountains, expansive forests, and more. The trip also stops over in the quaint sister towns of McCaysville, GA and Coperhill, TN where you'll be able to shop for antiques and crafts. Want to enjoy a truly amazing view from the top of the world? Brasstown Bald is the highest point in all of Georgia. Visitors may either hike or take a tram to the peak, where they will have the opportunity to see four states at the same time - Georgia, Tennessee, and the two Carolinas. No matter what time of year you choose to visit the Blue Ridge Mountains, the view will always be absolutely incredible. 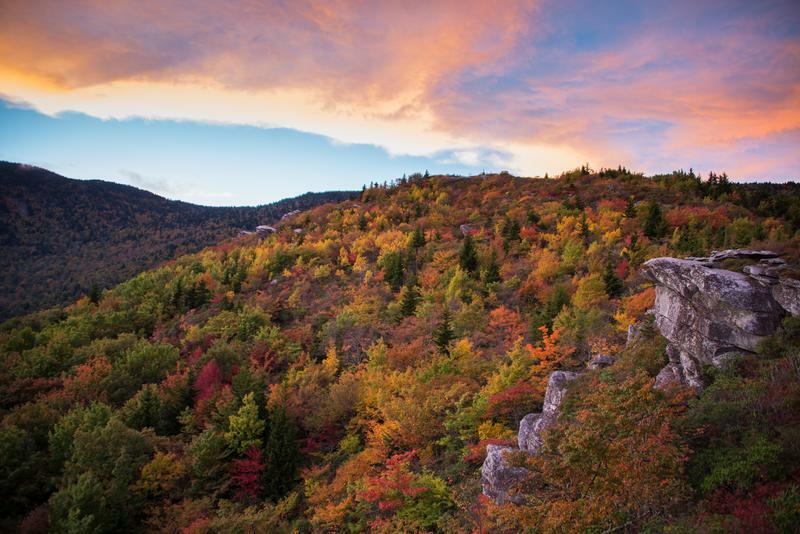 The area surrounding the Blue Ridge Mountains transitions through the full spectrum of seasons. Some travelers like to visit while new life is being generated during the spring, whereas others prefer hiking and playing during the warm summer months. Fall is another popular season in northern Georgia, as the leaves are changing colors. Still others prefer to come while the mountains are capped with snow. Regardless of your choice, you'll have an unforgettable experience here.